Soar: To rise or aspire to a higher or more exalted level. 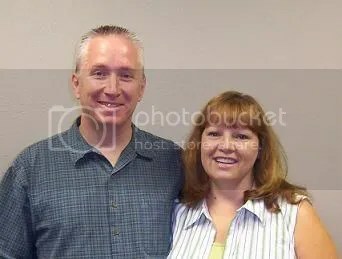 Mom and Dad (Jeff and Terri Kellar) have been married for 27 years. They have 3 kids and 3 grandkids! Dad serves as the Worship Minister for Kingwood Church of Christ and Mom works for The Mudpie Company, a paint your own pottery studio. Mom and Dad have been an example to me of what it means to be committed through thick and thin. I look up to them for their dedication to each other as well as their devotion to the Lord. As they become more experienced in ministry, it is incredible to see how God is using their experiences to bless those around them. Mom and Dad, I’m proud of you! Posted on November 2, 2006, in Uncategorized and tagged Uncategorized. Bookmark the permalink. 2 Comments. I definately recognize your dad from years past in the NW. I’m afraid your mom doesn’t look so familiar, then again, I’ve met so many people in so many places that I sometimes have trouble recalling details.